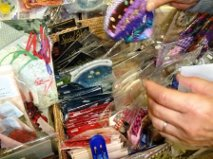 After Yokohama Quilt Week, a friend called me and asked if I could make 100 heart sashets by January 21, when a big new year party would be held with the alumni asociation. They would like to help my charity activity. So here are basic hearts I've pieced in those days. 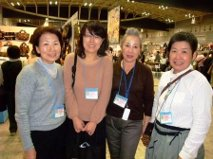 Another friend from Tokyo visited to Sendai recently and we met after years. She is a classmate from our college days and involved in lots of social activities. She had a big interest in crazy quilting and my work. She invited me to exhibit my cqs and do a lesson in her gallery though I didn't know she had opened the gallery at the beginning of this year. I am very glad with such offers. Aren't they good signs for future of our charity? 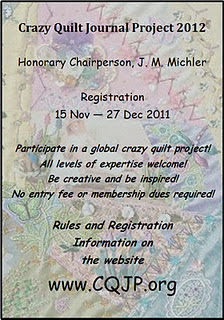 Yokohama Quilt Week was held from November 10 to 12. Even after that I've had so busy days personally I am very glad to have finally found a time to blog it. It was the first time for all of us to perticipate in such a big event we felt lost when we started to lay out everything. 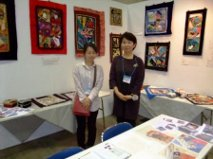 We rented a booth for exhibition of Hearts & Hands for Sendai Quilts and our cq works and a sales wagon for charity bazaar. 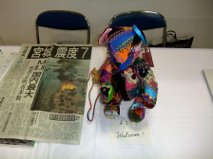 My bear was also took to the hall to welcome our guests. There were so many people visiting to our booth and some were from very far places. I was very moved to find they were readers of my blog. Not only our group members but friends living near Yokohama helped us for three days. Here are wonderful sales ladies who have raised so big fund. 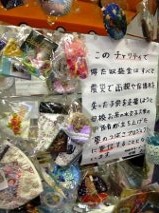 Besides many folks many friends came to the hall to visit us, spent money for Tohoku and encouraged us. How much we appreciated their supports and friendships!! Yesterday we met and made up the result. We found we had got about 700,000yen by the sale!!! 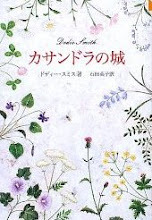 (Today's rate is $1.00=78yen. So calculate it.) Think we've made it from zero. But it's not our end but a starting point. We'll keep working, but more slowly next year. Thank you very much to all for everything!! We are going to mail everything to Yokohama tomorrow. These have been finished just in time. 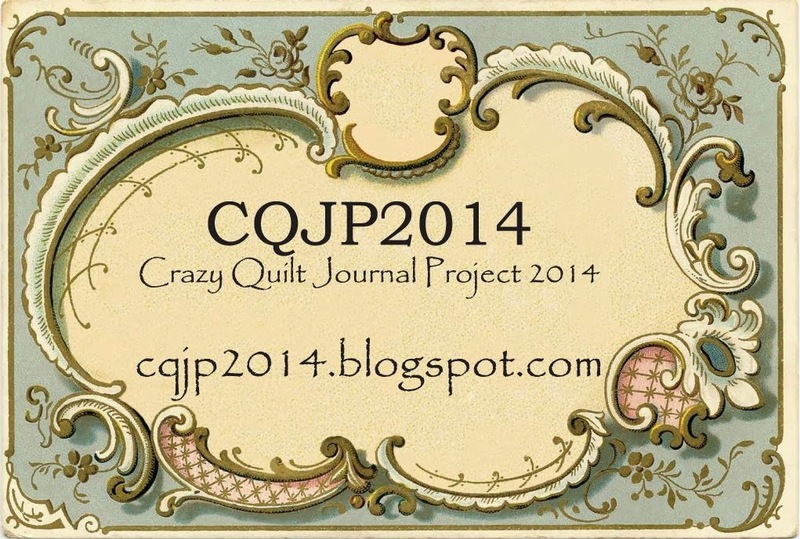 First we were planning to make a group quilt with all members cq block. 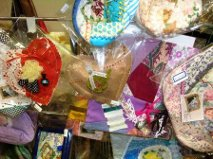 But most of us hardly have had time to make it but only charity goodies. 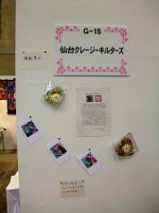 Naoko and Ikuko had made theirs so I asked them to finish them to exhibit by themselves. I was so busy in October, I felt almost giving up to finish this my mourning hearts quilt. 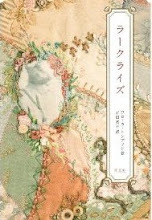 But it must be meaningless for me if this were not shown in Yokohama. I am glad I could have done it finally.